It's that time of year that we've all been waiting for as the all time folk rocker – Ryan Adams hits the Red Rocks Amphitheater on the Thursday 14th June 2018! Without a doubt, Ryan Adams always brings an unforgettable night, with his sheer talent alone! Shredding on the guitar, matched with impeccable songwriting – hurry and grab your tickets in advance today! Each and every one of his shows are a dream come true! Ryan Adams is one of the greatest artists on the live music scene right now, with his solo career taking center stage he has had a total of sixteen albums to date. And of course before he was a star on his own, he was a part of the famous alternative country group, Whiskeytown – with them they released a total of three studio records! A massive amount of material and boy do his fans appreciate it! Adams' first initial album was the well received 'Heartbreaker' which gained incredible respect and awards such as being shortlisted for the Music Prize and went on to certify Gold! In the mid – late 2000's, Bryan Adams was forced to take a break from performance as he broke his wrist on stage. After time out, he returned to the scene, but working on a different project, called The Cardinals, this band became his backing for following live tours and fittingly brought 'Cardinology' out in 2009. When Adams released his fourteenth album, he announced that via his own PAX AM label, he would make another change to The Shining, to support the release. Throughout the years this guy has managed to sustain a top position, known for his talented writing abilities and creative flair he has covered quite a few popular songs such as the entirety of Taylor Swift's album. As well as this, Ryan Adams has worked with several fellow artists throughout the years! The list is endless, from the legendary Country king – Willie Nelson, to Jesse Malin, Jenny Lewis, and Pop Punk group – Fall Out Boy, Counting Crows, Weezer, Norah Jones, America, Minnie Driver, Cowboy Junkies, Leona Naess, Toots and the Maytals, Beth Orton and Krista Polvere! 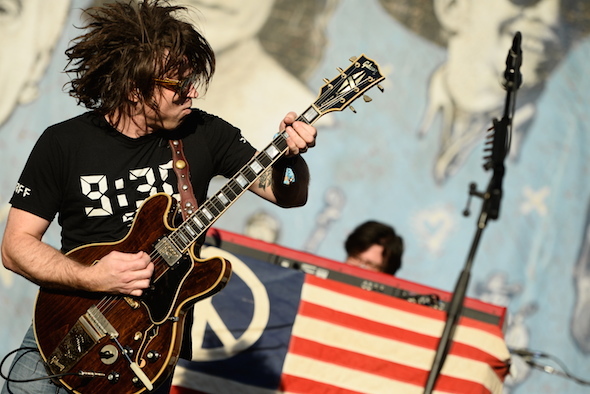 Come and join Ryan Adams for another mind blowing tour this coming summer – tickets on sale above!